Everyone has that person in their life — whether it’s a mentor, a professional idol, a coach or a respected relative — who seemingly has no fear. When a crisis comes up, they deal with it without blinking an eye. When a big decision looms on the horizon, they seem to effortlessly move forward with none of the second-guessing that plagues many of us. Am I the Only One Who Worries about Change? These seemingly fearless ones are tough, to be sure. On the surface, it looks like there’s absolutely nothing that can scare them. As someone who is tackling your own goals and conflicts with grace, are you wondering why you seem to be alone in feeling afraid to take action? Want to know a secret? Everyone is a little fearful when it comes to a big decision, an unexpected setback or major crisis — but the difference between the “fearless” and the “fearful” is how the fearless people deal with it. Fearless people aren’t actually fearless — they are just better prepared to handle life’s uncertainties! So What Can We Learn from the Fearless? Quite a lot if we pay attention. There are a number of habits that the fearless inherently possess that are worth emulating. 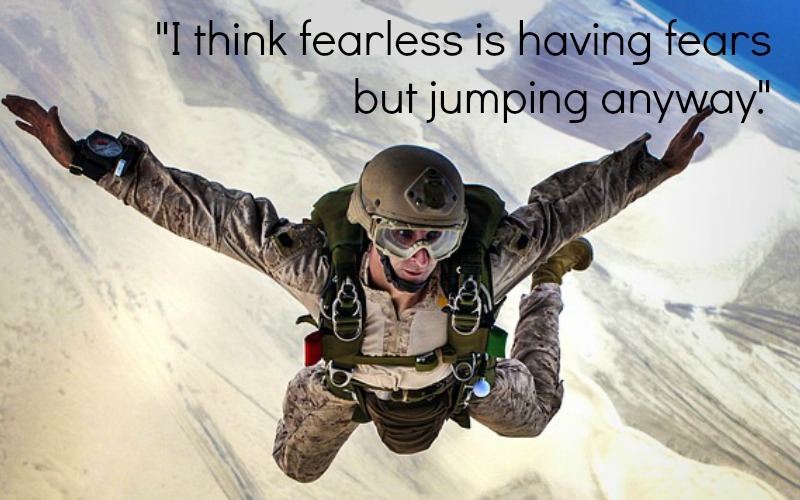 Fearless people recognize what scares them. However, they concentrate not on what scares them, but why it scares them. Did you have an overprotective parent who continually warned you about the risks of trying new things (we’re not placing blame here)? If so, did their need to protect you encourage you to fear the unknown or make it hard to trust your instincts? By understanding the underlying reason for your fear, you can debunk the reality of the fear. You can worry excessively about the worst case scenario, or you can prepare for it — and the latter will make you much more effective regardless of the situation. Whether it’s fear of ending an unhealthy relationship because you’ll be alone or financial hardship due to losing your job, preparing for how you will handle it will give you the confidence to overcome your fear. Being confident is one of the best antidotes to fear. It’s easy to worry about what could go wrong, but if you have faith in yourself and your abilities, these worries diminish. 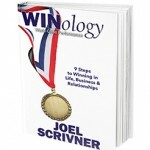 Look for ways to boost your confidence — take a course, attend a workshop, read a book (WINology – World Class Performance is a good place to start! ), learn a new skill — or tackle a personal health goal like losing weight or running a 10K. Your life’s outcomes are dependent on all the actions that you do or do not take, and fear will try to throw a wrench in the works every time. Fear will cause you to waste energy ruminating, forego an opportunity, or just avoid a big step that could potentially lead to great things down the road. So recognize that fear is a natural aspect of making big decisions, prepare when applicable, and trust in your abilities to handle whatever comes your way. Here’s what I want you to do. The next time you hear that unwelcome little voice raising the alarm when you’re considering a new challenge, challenge it — ask it what’s the worst that can happen? Chances are, the “worst” might not be that bad after all! And even if it is bad, decide how you would handle the “worst.” In our loss of job example above, are there skills you can be improving on now or people you could be networking with so you would be in a better position to find a new job? What fears have prevented you from pursuing a goal or seizing an opportunity? Let us know in the comments section below! All of us know people who seem to effortlessly move through life despite obstacles or when confronted with big decisions. Here's how to deal with fear. Nice People Really Do Win And Not in the End! I suppose my greatest fear has been failure. So much so that I often never even try. This is something I am actively trying to overcome. My fear is of being judged for imperfections. It’s difficult in this day and age when everyone is a critic. We do definitely live in a society that cultivates fear. Everyone is coddled so much nowadays as a child that they either grow up thinking everything they do is perfect or never embarking on any project.